Royal Enfield today announced the dates for the much awaited Himalayan Odyssey 2018. One of the biggest motorcycle ride of its kind in the world, Himalayan Odyssey will see participants traversing the mighty Himalayan terrain, covering a distance of close to 2, 200 kilometres in 18 days on their Royal Enfield motorcycles. To be held from July 5th to July 22nd, 2018, it will bring riders from across India together and provide them with unlimited supply of breathtaking views to intimidating terrain throughout the journey. 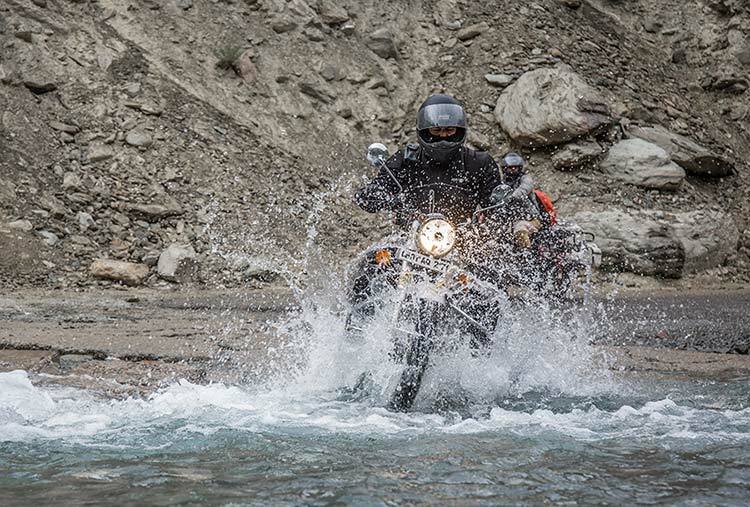 Himalayan Odyssey has been the ultimate motorcycling ride in the Himalayas and will continue to challenge the riders at every step with numerous mountain passes and natural obstacles. A journey like Himalayan Odyssey is a life changing experience and over the 18 days, the riders will face each challenge together that will strengthen the sense of camaraderie amongst them and in the end leave every rider with memories which will remain deeply etched in the mind forever. The 15th edition of the Himalayan Odyssey will be flagged off from India Gate, Delhi and traverse towards Khardung-La – the highest motorable road in the world at 17, 500 feet above sea level. The registrations will be open on the Royal Enfield website -for Himalayan Odyssey 2018 and Himalayan Odyssey – Women 2018 from May 4th onwards. The Himalayan Odyssey is at the pinnacle of Royal Enfield’s philosophy of ‘Keep Riding Pure’ and the ‘motorcycling way of life’ and is considered to be one of the most aspirational motorcycle journey in the world. The 15th edition of Himalayan Odyssey pays tribute to Royal Enfield’s six-decade old legacy of riding in the lap of Himalayas, which it considers to be its spiritual home. Himalayan Odyssey provides its riders with a larger than life, authentic riding experience under guidance from experienced ride leaders and support staff.